John Deere's 5E Series utility tractor is the perfect purchase for large Louisiana property owners and managers who need more power but are looking for the deal of the season. Shop John Deere utility tractors online today and test drive tomorrow at any of our John Deere dealership locations in Louisiana. See details on timing and discounts specified in the disclaimers below. ²Offer is available only on 5075E 4WD Utility Tractors with Cab thru 30 April 2019. Includes bonus of $2500.00 and other retail bonuses totaling $9600.00 Prices and models may vary by dealer. Prices and savings are in U.S. dollars. Restrictions apply, see dealer for details. 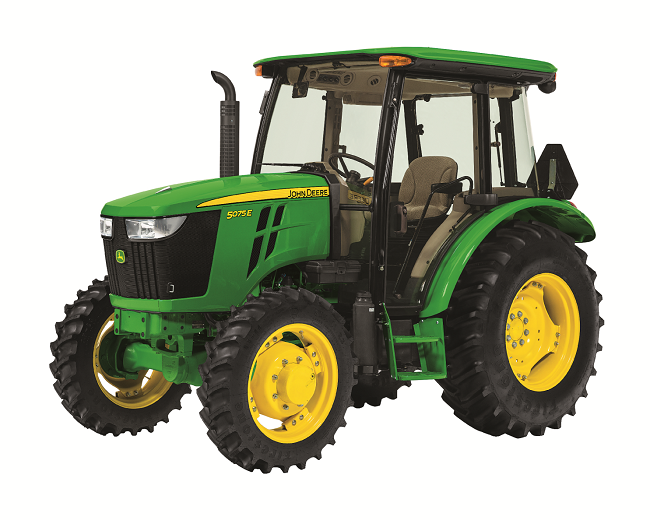 • 5 year warranty- *Beginning 9/1/2016 all 5E Series Utility Tractors purchased new from an authorized John Deere Dealer come standard with a 5 year/2000 hour (whichever comes first) Powertrain Warranty. See the Limited Warranty for New John Deere Turf & Utility Equipment at dealer for details.